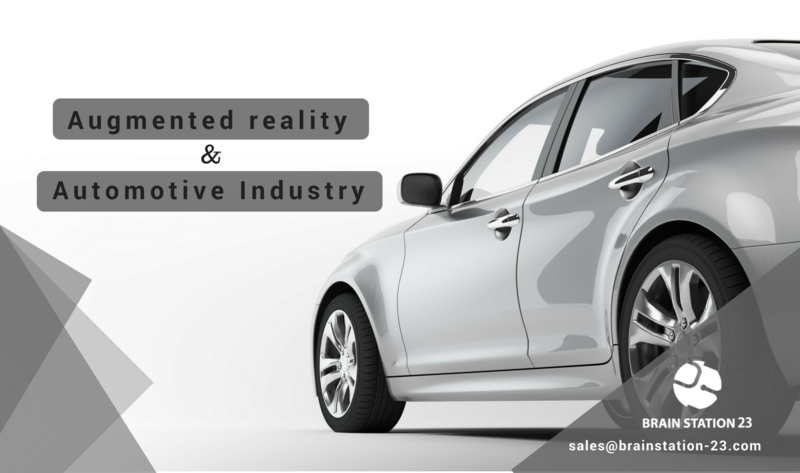 Augmented reality has taken the global automotive industry by storm lately. Not only AR is impacting how the future automotive industry will drive forward, but also has created some significant changes in making the car manufacturing, shopping to car driving experience safer. Despite the fact that the augmented reality market is relatively small and geo centered to some continent at this present time, still there are enough reasons to believe that growth of this industry will skyrocket in the coming years. Usages of AR technologies in various industries including automotive, real-estate, entertainment, education etc. are becoming the hottest trend with time. The most renowned brand BMW has moved ahead of its competitors with automotive’s first immersive, augmented reality app. Others are also following this footprint. Augmented reality apps for car selling slowly not only is revolutionizing the car buying experience for customers but also is enthusing new tech-savvy customer groups to bring dealerships to customers digitally. This new immersive approach eventually transforming the way car buyers are choosing, configuring and making purchasing decisions by viewing and interacting with a full-scale virtual version of the car through a simple mobile application. So, what are the biggest advantages of having an AR app for automobile industry? The app has the ability to serve both B2B & B2C automotive businesses approaches. Thus global automotive giants are after adopting this new tech to gear up their speed in the competitive market. Brain Station 23 is the very first IT company in Bangladesh proudly adopted such avant-garde technology staying ahead of the business needs for not only automobile industry as well as many other industries locally and globally. Our Augmented Reality application for the automotive industry has already been appreciated by one of the biggest car manufacturers in the world. Unity 3D is the engine we’ve been using for building these applications and game development inside Brain Station 23. Alongside for Android development, Android Studio and Xcode for iOS development are our choices for significant platform preferences. We are also using Vuforia, EasyAR, Wikitude, ARToolKit, Kudan,Maxst (for SKDs ) for Unity 3D. Among the best IT companies in Bangladesh, Brain Station 23 holds a significant position with their own credit. And I would firmly say, we are an audacious tech-loving company who are up for adopting any latest technology, even, before any local company would think to try out. Therefore, our customers love us for the challenges that we want to confront every time we hear any new idea bring to the table.